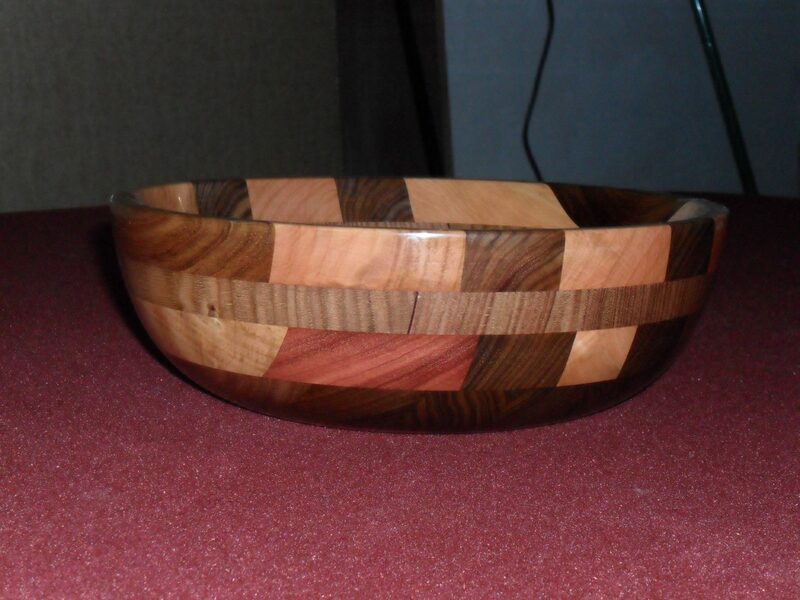 In this video I turn a wooden bowl made from scrap pieces of timber left over from various jobs. 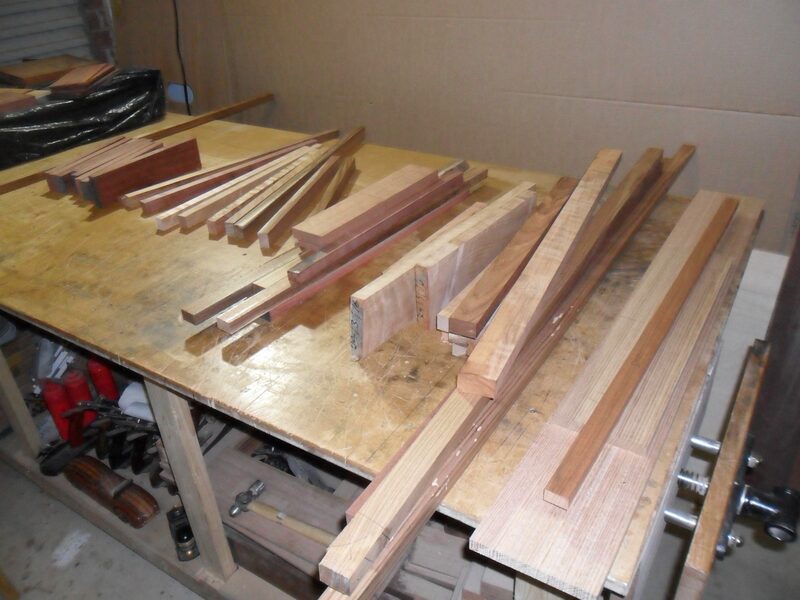 I group all of the sticks and short boards by approximate thickness and then set about machining the timber down so that I could then glue them up into panels as seen below. 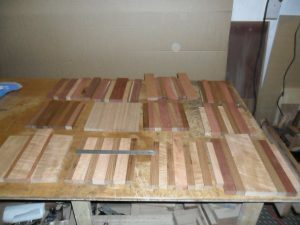 I ended up having 12 panels, and I didn't want to make lots of bowls. So I chose five of the panels and used those to glue up into a bowl blank. 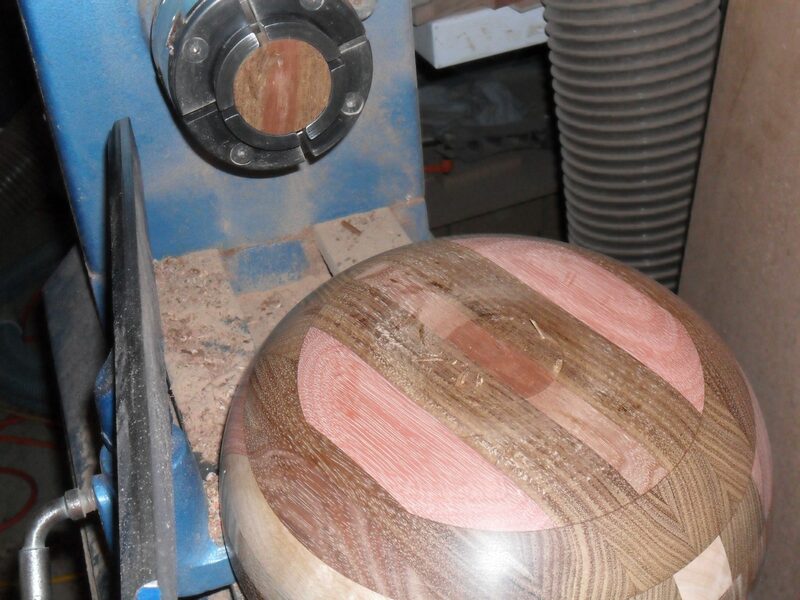 Now it was time to turn the bowl blank into a super smooth, super shiny, super useful bowl. I found the turning quite difficult because of the varying timber hardness and density between the harder Jarrah and softer Blackwood. With a bit of persistance I got there, but not without some drama. After I had shaped the outside of the bowl and reversed it in the chuck to hollow out the inside, I ended up breaking off the spigot which was being used to hold the workpiece in the chuck. Such an annoyance. It was pretty late in the afternoon when the bowl broke the spigot, so I put it aside for a week while I had to work on other projects. Eventually on the next Sunday afternoon I got around to fixing and finishing this bowl. 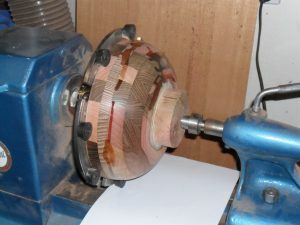 First I had to flatten the bottom of the bowl to create a good mating surface so I could glue on a new scrap piece of timber so that I could turn a new spigot from it. I turned the new spigot and cleaned up the outside of the bowl. Then I reversed it back in the chuck and continued to shape the inside of the bowl. 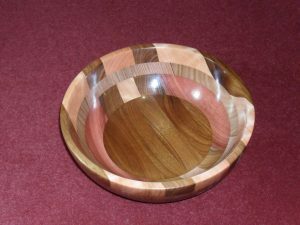 Everything from here was pretty smooth sailing and I finished up with a really nice looking bowl. 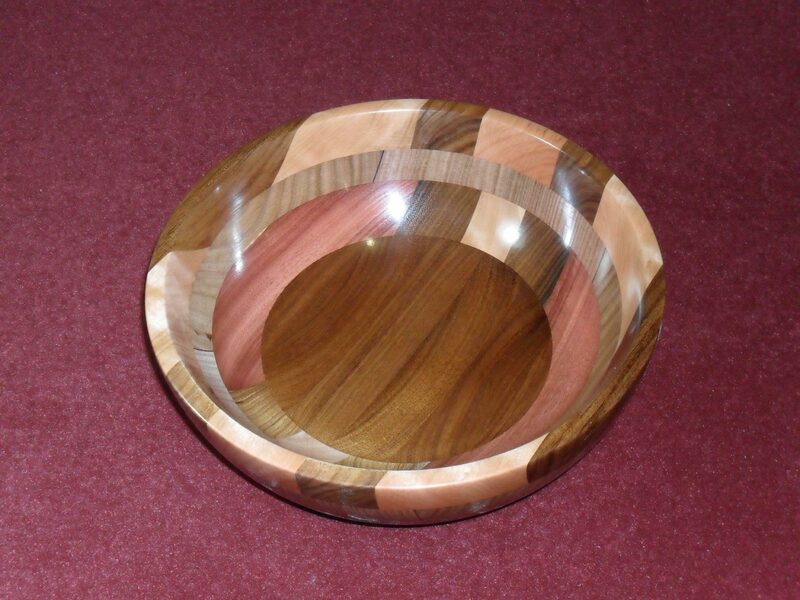 I am quite impressed with myself with just how good this bowl looks. 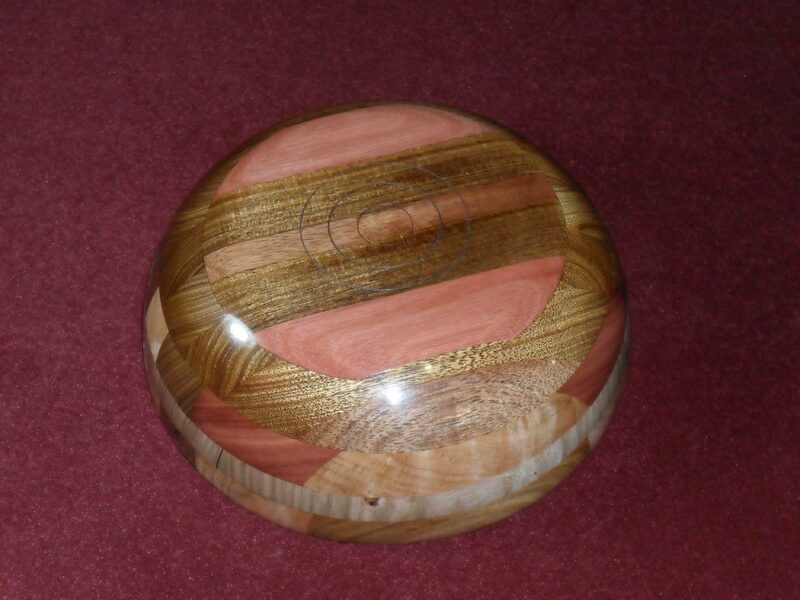 The finished size was approximately 234mm diameter by 76mm high. 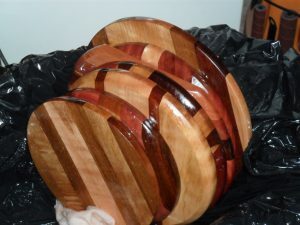 Made from Jarrah, Blackwood, Tassie Oak, and Myrtle. Finished with Ubeaut Shellawax. 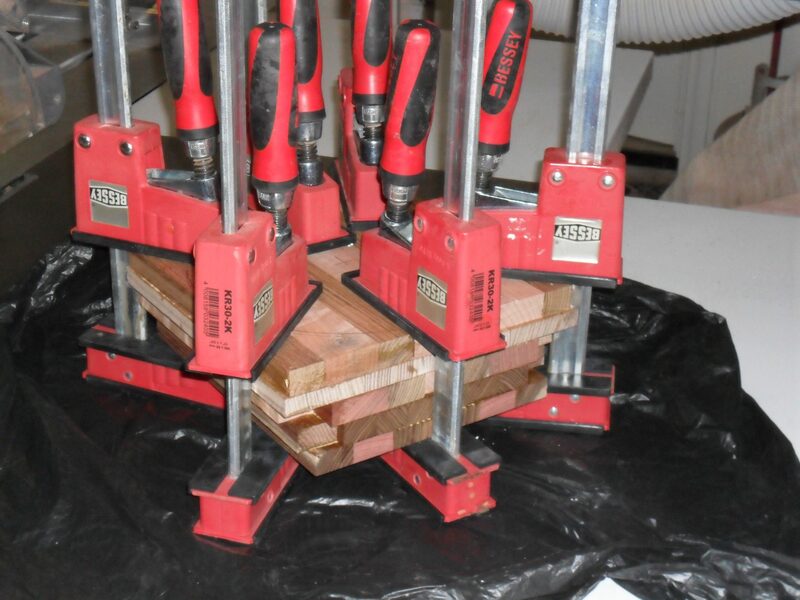 Link to the video is below. Thanks for reading.